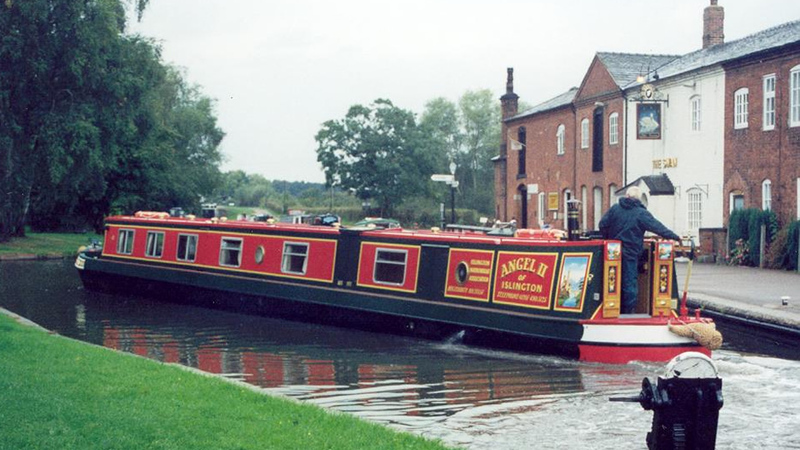 Come aboard the Angel II, for a real hands-on canal boating experience! The Angel Boat is a charity (Angel Community Canal Boat Trust or ACCT) which operates a skippered community canal boat – Angel II of Islington – for use by local residents and community groups of all ages at a cost they can afford. Based at Angel, Islington, London since 1976, our 12 berth community narrowboat each year provides some 2000 young people and other disadvantaged and isolated local community groups with residential and day trips under the supervision of our experienced skipper. Now onto our second purpose built canal narrow boat we have been providing this service to our local community for over 40 years. Discover more about our trips, from short day trips through the canals of London, to longer residential adventures into the countryside. ‘Angel II of Islington‘ is available for private hire – with skipper – for up to 12 people when not being used by community-based groups. This helps fund our charitable operations. For a programme about the Angel Boat (an external link to Boating UK) click here (see from 9:40 minutes). For a video created by one of our recent users on a summer residential trip, click here. You can also download a copy of our recent annual report, as well as many other useful documents on our Downloads page. The Angel Boat relies on donations, grants and fundraising activities to continue providing trips to local residents at a cost they can afford. See how you can help us - click here . For all general enquiries, please email us at info@acct.org.uk. If you would like to make a booking, please use the form below.